The history of astrometry is linked to the history of star catalogues, which gave astronomers reference points for objects in the sky so they could track their movements. This can be dated back to Hipparchus, who around 190 BC used the catalogue of his predecessors Timocharis and Aristillus to discover Earth's precession. In doing so, he also developed the brightness scale still in use today. Hipparchus compiled a catalogue with at least 850 stars and their positions. Hipparchus's successor, Ptolemy, included a catalogue of 1,022 stars in his work the Almagest, giving their location, coordinates, and brightness. In the 10th century, Abd al-Rahman al-Sufi carried out observations on the stars and described their positions, magnitudes and star color; furthermore, he provided drawings for each constellation, which are depicted in his Book of Fixed Stars. Ibn Yunus observed more than 10,000 entries for the Sun's position for many years using a large astrolabe with a diameter of nearly 1.4 metres. His observations on eclipses were still used centuries later in Simon Newcomb's investigations on the motion of the Moon, while his other observations of the motions of the planets Jupiter and Saturn inspired Laplace's Obliquity of the Ecliptic and Inequalities of Jupiter and Saturn. In the 15th century, the Timurid astronomer Ulugh Beg compiled the Zij-i-Sultani, in which he catalogued 1,019 stars. Like the earlier catalogs of Hipparchus and Ptolemy, Ulugh Beg's catalogue is estimated to have been precise to within approximately 20 minutes of arc. James Bradley first tried to measure stellar parallaxes in 1729. The stellar movement proved too insignificant for his telescope, but he instead discovered the aberration of light and the nutation of the Earth's axis. His cataloguing of 3222 stars was refined in 1807 by Friedrich Bessel, the father of modern astrometry. He made the first measurement of stellar parallax: 0.3 arcsec for the binary star 61 Cygni. Being very difficult to measure, only about 60 stellar parallaxes had been obtained by the end of the 19th century, mostly by use of the filar micrometer. Astrographs using astronomical photographic plates sped the process in the early 20th century. Automated plate-measuring machines and more sophisticated computer technology of the 1960s allowed more efficient compilation of star catalogues. In the 1980s, charge-coupled devices (CCDs) replaced photographic plates and reduced optical uncertainties to one milliarcsecond. This technology made astrometry less expensive, opening the field to an amateur audience. In 1989, the European Space Agency's Hipparcos satellite took astrometry into orbit, where it could be less affected by mechanical forces of the Earth and optical distortions from its atmosphere. Operated from 1989 to 1993, Hipparcos measured large and small angles on the sky with much greater precision than any previous optical telescopes. During its 4-year run, the positions, parallaxes, and proper motions of 118,218 stars were determined with an unprecedented degree of accuracy. A new "Tycho catalog" drew together a database of 1,058,332 to within 20-30 mas (milliarcseconds). Additional catalogues were compiled for the 23,882 double/multiple stars and 11,597 variable stars also analyzed during the Hipparcos mission. Today, the catalogue most often used is USNO-B1.0, an all-sky catalogue that tracks proper motions, positions, magnitudes and other characteristics for over one billion stellar objects. During the past 50 years, 7,435 Schmidt camera plates were used to complete several sky surveys that make the data in USNO-B1.0 accurate to within 0.2 arcsec. Diagram showing how a smaller object (such as an extrasolar planet) orbiting a larger object (such as a star) could produce changes in position and velocity of the latter as they orbit their common center of mass (red cross). Motion of barycenter of solar system relative to the Sun. Apart from the fundamental function of providing astronomers with a reference frame to report their observations in, astrometry is also fundamental for fields like celestial mechanics, stellar dynamics and galactic astronomy. In observational astronomy, astrometric techniques help identify stellar objects by their unique motions. It is instrumental for keeping time, in that UTC is essentially the atomic time synchronized to Earth's rotation by means of exact astronomical observations. Astrometry is an important step in the cosmic distance ladder because it establishes parallax distance estimates for stars in the Milky Way. Astrometry has also been used to support claims of extrasolar planet detection by measuring the displacement the proposed planets cause in their parent star's apparent position on the sky, due to their mutual orbit around the center of mass of the system. Astrometry is more accurate in space missions that are not affected by the distorting effects of the Earth's atmosphere. 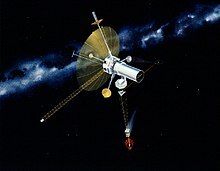 NASA's planned Space Interferometry Mission (SIM PlanetQuest) (now cancelled) was to utilize astrometric techniques to detect terrestrial planets orbiting 200 or so of the nearest solar-type stars. The European Space Agency's Gaia Mission, launched in 2013, applies astrometric techniques in its stellar census. In addition to the detection of exoplanets, it can also be used to determine their mass. Astrometric measurements are used by astrophysicists to constrain certain models in celestial mechanics. By measuring the velocities of pulsars, it is possible to put a limit on the asymmetry of supernova explosions. Also, astrometric results are used to determine the distribution of dark matter in the galaxy. Astronomers use astrometric techniques for the tracking of near-Earth objects. Astrometry is responsible for the detection of many record-breaking Solar System objects. To find such objects astrometrically, astronomers use telescopes to survey the sky and large-area cameras to take pictures at various determined intervals. By studying these images, they can detect Solar System objects by their movements relative to the background stars, which remain fixed. Once a movement per unit time is observed, astronomers compensate for the parallax caused by Earth's motion during this time and the heliocentric distance to this object is calculated. Using this distance and other photographs, more information about the object, including its orbital elements, can be obtained. 50000 Quaoar and 90377 Sedna are two Solar System objects discovered in this way by Michael E. Brown and others at Caltech using the Palomar Observatory's Samuel Oschin telescope of 48 inches (1.2 m) and the Palomar-Quest large-area CCD camera. The ability of astronomers to track the positions and movements of such celestial bodies is crucial to the understanding of the Solar System and its interrelated past, present, and future with others in the Universe. A fundamental aspect of astrometry is error correction. Various factors introduce errors into the measurement of stellar positions, including atmospheric conditions, imperfections in the instruments and errors by the observer or the measuring instruments. Many of these errors can be reduced by various techniques, such as through instrument improvements and compensations to the data. The results are then analyzed using statistical methods to compute data estimates and error ranges. In Star Trek: Voyager, the Astrometrics lab is the set for various scenes. So the crew may find planets to gain resources from. In Battlestar Galactica (2004 TV series) an Astrometrics lab is stated in dialogue multiple times. ^ Walter, Hans G. (2000). ^ Kanas, Nick (2007). Star maps: history, artistry, and cartography. Springer. p. 109. ISBN 0-387-71668-8. ^ p. 110, Kanas 2007. ^ Lankford, John (1997). "Astrometry". History of astronomy: an encyclopedia. Taylor & Francis. p. 49. ISBN 0-8153-0322-X. ^ Kovalevsky, Jean; Seidelmann, P. Kenneth (2004). Fundamentals of Astrometry. Cambridge University Press. pp. 2–3. ISBN 0-521-64216-7. ^ Tekeli, Sevim (1997). "Taqi al-Din". Encyclopaedia of the History of Science, Technology, and Medicine in Non-Western Cultures. Kluwer Academic Publishers. ISBN 0-7923-4066-3. ^ Staff (1 June 2007). "The Hipparcos Space Astrometry Mission". European Space Agency. Retrieved 2007-12-06. ^ "Infant exoplanet weighed by Hipparcos and Gaia". 20 August 2018. Retrieved 21 August 2018. ^ Trujillo, Chadwick; Rabinowitz, David (1 June 2007). "Discovery of a candidate inner Oort cloud planetoid" (PDF). European Space Agency. Archived (PDF) from the original on 26 October 2007. Retrieved 2007-12-06. ^ Britt, Robert Roy (7 October 2002). "Discovery: Largest Solar System Object Since Pluto". SPACE.com. Retrieved 2007-12-06. ^ Clavin, Whitney (15 May 2004). "Planet-Like Body Discovered at Fringes of Our Solar System". NASA. Archived from the original on 30 November 2007. Retrieved 2007-12-06. Kovalevsky, Jean; Seidelman, P. Kenneth (2004). Fundamentals of Astrometry. Cambridge University Press. ISBN 0-521-64216-7. Walter, Hans G. (2000). Astrometry of fundamental catalogues: the evolution from optical to radio reference frames. New York: Springer. ISBN 3-540-67436-5. Kovalevsky, Jean (1995). Modern Astrometry. Berlin; New York: Springer. ISBN 3-540-42380-X. Wikimedia Commons has media related to Astrometry. "Hall of Precision Astrometry". University of Virginia Department of Astronomy. Archived from the original on 2006-08-26. Retrieved 2006-08-10.